The president’s attorneys urged Mazars USA to not comply with an imminent Democratic subpoena. Trump attorneys William S. Consovoy and Stefan Passantino are urging Mazars USA not to comply with a subpoena that Oversight Chairman Elijah Cummings (D-Md.) plans to issue on Monday for Trump’s financial documents, calling it a politically motivated scheme to take down the president. “It is no secret that the Democrat Party has decided to use its new House majority to launch a flood of investigations into the president’s personal affairs in hopes of using anything they can find to damage him politically,” Consovoy and Passantino wrote to Jerry D. Bernstein, Mazars’ outside counsel. The attorneys said they were formally putting Mazars ”on notice” — an implicit threat of legal action. They also urged Bernstein to hold off on providing the documents to Cummings until the subpoena can be litigated in court, suggesting that a protracted legal battle is likely to ensue. “The Democrats’ fervor has only intensified after the special counsel squelched their ‘Russia collusion’ narrative,” the attorneys continued, outlining a series of legal precedents that they argue prevents Mazars from complying with Cummings’ subpoena. 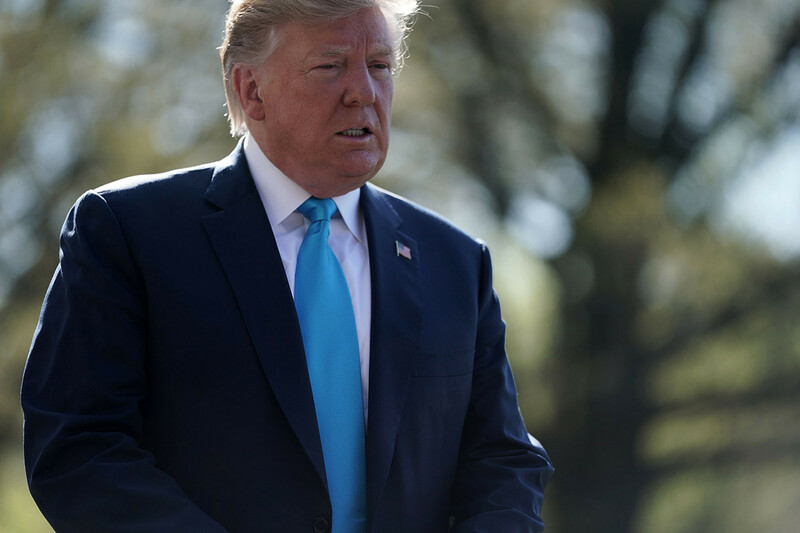 Last month, the committee formally requested that Mazars turn over 10 years of Trump’s financial records, related specifically to the Trump Organization, the president’s revocable trust and other subsidiaries. In response, Mazars asked for a so-called friendly subpoena so that it could comply. Cummings told the firm that it was seeking the documents to corroborate the testimony of Michael Cohen, the president’s former attorney and fixer, who alleged that Trump artificially inflated and deflated the value of his assets for his personal benefit. Consovoy and Passantino questioned the committee’s legal authority to conduct such an investigation. “[T]he House Oversight Committee is not a miniature Department of Justice, charged with investigating and prosecuting potential federal crimes. It is a legislative body, not ‘a law enforcement or trial agency,’ and the chairman’s attempt to assume for Congress the role of police, prosecutor, and judge is unconstitutional,” they wrote. In a separate letter to Cummings, Consovoy and Passantino echoed Republicans’ criticism of the Mazars subpoena. On Monday, Rep. Jim Jordan of Ohio, the top Republican on the Oversight Committee, also wrote a memo to the panel’s members outlining his own concerns with the subpoena. Jordan said it was a “grave abuse” of power and a violation of Cummings’ pledge to allow committee members to vote on subpoenas before they are authorized. Cummings said on Friday that he planned to issue it unilaterally due to the two-week congressional recess which began on Monday. “I strongly object to Chairman Cummings’ unprecedented subpoena to Mazars and his irresponsible and gravely dangerous course of conduct in a singular obsession of attacking President Trump and his family for political gain,” Jordan wrote. A spokeswoman for Cummings didn’t immediately respond to a request for comment on the letter from Trump’s attorneys. Bernstein, Mazars’ outside counsel, also did not respond. "trendgossipnow.com" is well organized top news, entertainment, sports & celebrity news-based website. We provide you with the latest breaking news and videos straight from source place.